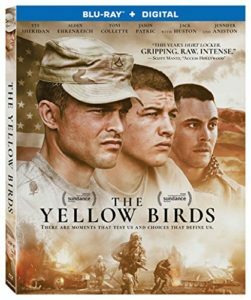 “The Yellow Birds” (2017, Lionsgate) Adaptation of Kevin Powers’ much-celebrated novel traces the conflicts in war and at home endured by two American soldiers during the Gulf War. 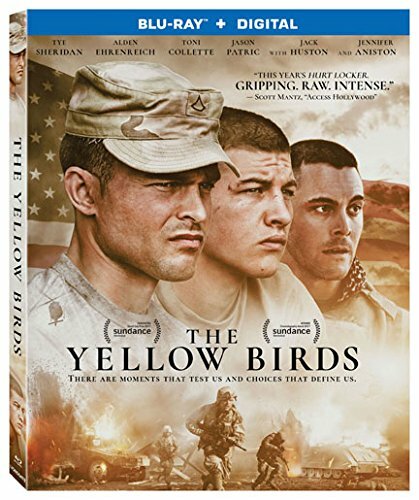 Alden Ehrenreich and Tye Sheridan are two sides of the same untested coin as new recruits who endure director Alexandre Moors’ onslaught of battlefield horror; it’s visceral and grisly and well-handled by both leads, as well as Jack Huston as their broken sergeant, but the film brings nothing new to the table other than confirming that war really is Hell. And for all the intensity of the burden shouldered by the leads, it’s eclipsed by Jennifer Aniston and Toni Collette as their brittle mothers and Jason Patric as an officer on Ehrenreich’s tail, each of whom deliver finely calibrated gradations of inner turmoil. Lionsgate’s Blu-ray includes a making-of featurette. 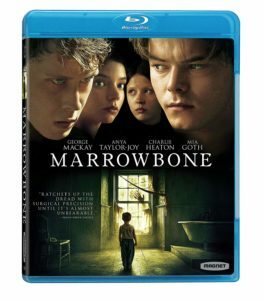 “Marrowbone” (2017, Magnolia Home Entertainment) Having fled their native England in the wake of their father’s imprisonment for heinous crimes, a quartet of British siblings find that they are being stalked in their new home – a crumbling mansion in America – by another malevolent, though possibly familiar presence. Given Sergio G. Sanchez‘s previous efforts as a writer in the Gothic horror field (2007’s “The Orphanage”), horror fans might expect a greater rate of return from his directorial debut; though the atmosphere and design is appropriately dark and derelict, and the cast – which includes Anya Taylor-Joy (“The Witch”) and gloomy “Stranger Things” heartthrob Charlie Heaton – the intimations of supernatural menace in “Marrowbone” never gain enough traction or substance to hold attention. Extras on the Magnolia Blu-ray include deleted scenes and a visual effects reel. 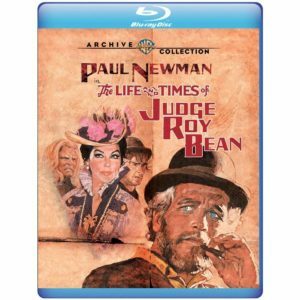 “The Life and Times of Judge Roy Bean” (1972, Warner Archive Collection) Frequently surreal, tall-tale take on the real-life Roy Bean (Paul Newman, who also co-produced), who appoints himself the “law west of the Pecos.” Depending on who you believe, John Huston either enlivened or ruined John Milius‘ screenplay by framing “Judge” after such de-mythologized, self-referential Westerns as “Butch Cassidy and the Sundance Kid”; it’s too violent to be funny and too cute to be taken seriously, but the film’s polished grime aesthetic, courtesy of Richard Moore, looks great in Warner’s 2K restoration, and boasts a huge cast of great players, including Ned Beatty, Anthony Perkins, Jacqueline Bisset, Roddy McDowall and briefly, Ava Gardner as the object of Bean’s affection, the singer Lil Langrty, though Stacy Keach is a highlight as a psychotic albino gunslinger. 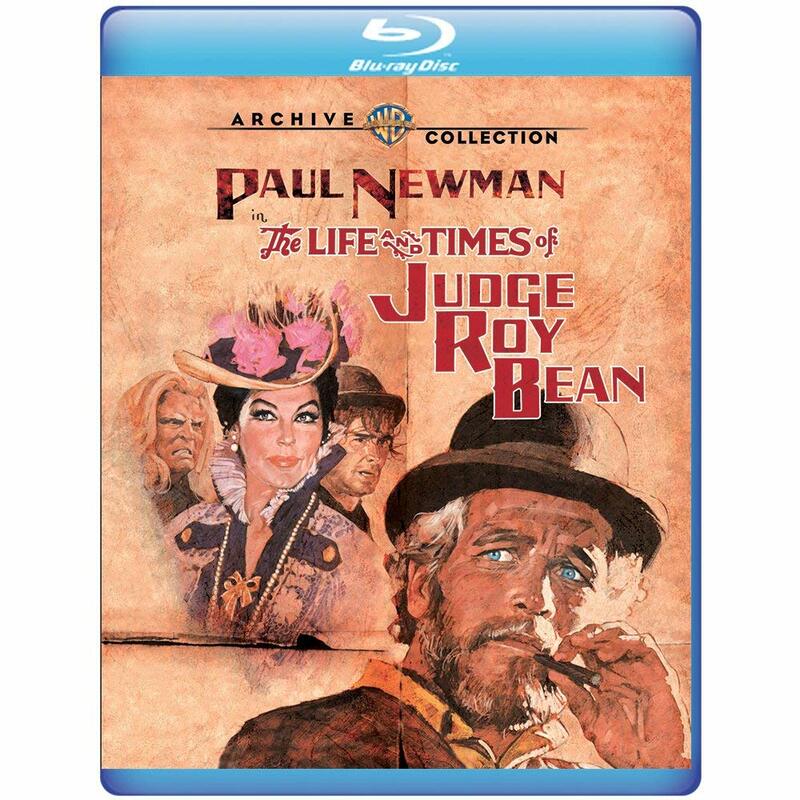 Warner’s Blu-ray includes the original trailer. 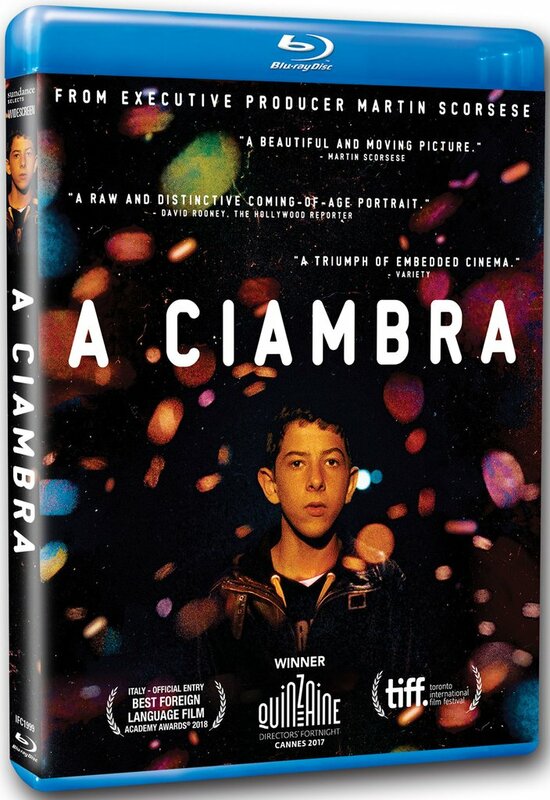 “A Ciambra” (2017, IFC) When his brother is arrested for trafficking stolen goods to mobsters, Pio (Pio Amato), a Romani teenager living in Italy, decides to step into his brother’s shoes. Martin Scorsese served as executive producer for director Jonas Carpignano‘s follow-up to “Mediterranea,” which featured Pio in a memorable supporting role; here, he’s a magnetic, natural presence as the lead, and scenes of his chaotic home life – with Amato’s own family playing fictionalized versions of themselves – have the rawness and energy of the Italian neo-realism movement of the 1950s, and are the picture’s most compelling elements. Amato’s criminal arc is less intriguing – it travels along well-worn crime/coming-of-age lines – but his performance and Carpginano’s documentary-style approach lend freshness and immediacy to these scenes. IFC’s Blu-ray includes a making-of doc, deleted scenes and the 2014 short that served as the film’s inspiration. 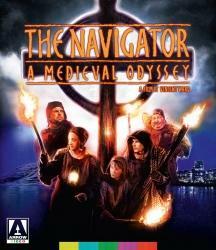 “The Navigator: A Medieval Odyssey” (1988, Arrow Video) As the Black Plague ravages 14th-century Wales, a group of miners tunnel heed a boy’s visions and tunnel into the earth in search of copper to construct a colossal cross, but emerge in modern-day New Zealand, where highways and television present new and inexplicable terrors. Director Vincent (“What Dreams May Come”) Ward‘s second feature is a remarkable visual feat, drawing on medieval engravings for the prologue and his country’s natural wonders to create a world that is both alien and familiar; his cast of largely unknown actors also helps to sell the travelers’ awestruck terror. He’s less successful in delivering a wholly satisfying story or characters, and the ending is a bust, but Ward’s visual palette is impressive enough to compensate for these issues. Arrow’s Blu-ray includes a visual essay by British film critic Nick Roddick and a television feature on Ward from 1989. 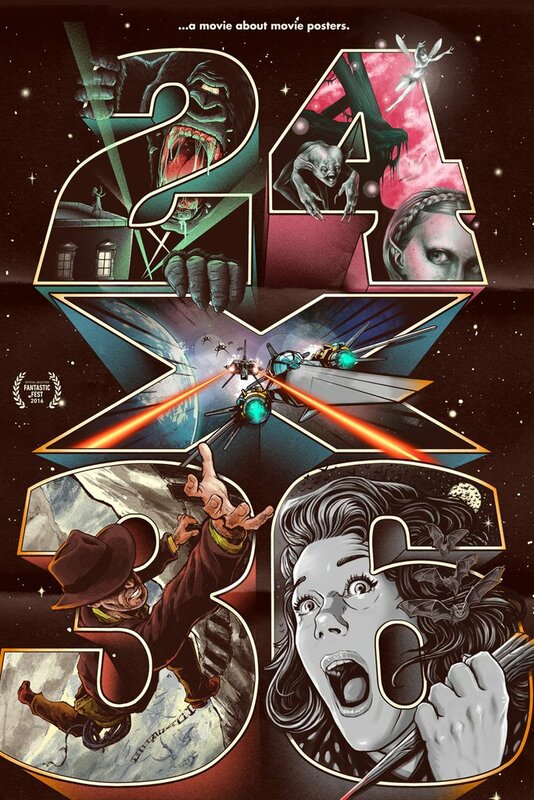 “24 x 36” (2016, MVD Visual/Filmrise) A vast array of jaw-dropping movie poster art is the highlight of this t documentary about the rise, fall and return of the illustrated one-sheet. It works best when defining the deep emotional connection between movie fans and poster art, as depicted by iconic images for “Jaws,” “Creature from the Black Lagoon” and the “Star Wars” franchise. 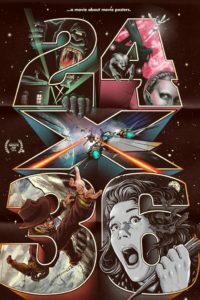 The artists behind these creations, including Reynold Brown, John Alvin and Roger Kastel, are briefly profiled and/or interviewed; the majority of the picture is devoted to the Austin, Texas-based Mondo collective, which creates original poster art for new and classic films, much of which is far superior to the official ad campaigns. This section delivers only modest returns – much of the conversation hews to variations on “it’s cool to work for/buy from Mondo” – but again, the abundance of beautiful poster art far exceeds these minor limitations. This entry was posted in Movies and tagged Arrow Video, IFC, Lionsgate, Magnolia Home Entertainment, MVD Visual, Warner Archive Collection. Bookmark the permalink.